a 12 hour timelapse of my terrarium. 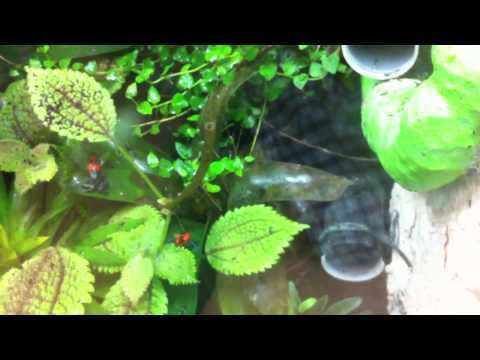 This 55 gallon terrarium has 5 Ranitomeya imitators in it, 2 of which are featured here. Watch out for slugs and snails!